little red wagon: Challenge #490 - Hop to It! Challenge #490 - Hop to It! Welcome to a new Little Red Wagon challenge! This week, I'm asking you to "Hop to it!" - create a project using something that hops. I'm open to interpretation so feel free to be as creative as you like! 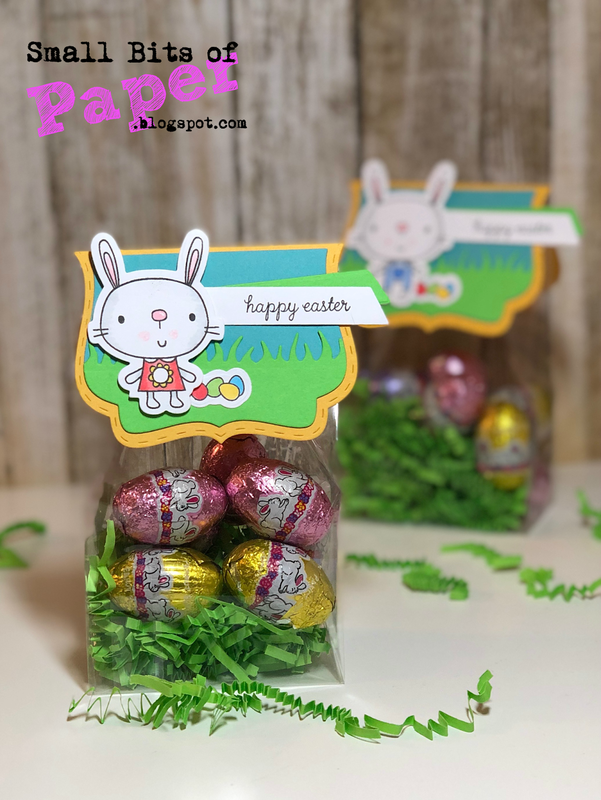 Despite my encouragement to all of you to be creative, I went the traditional route and used some bunnies for my project, making a couple of Easter treat bags with toppers. As I have three children, I'll have to make at least one more! Please "Hop to It!" by creating and linking up your project! I can't wait to see what you make! Cute projects with hop-bilities from the DT crew! Thanks LRW!